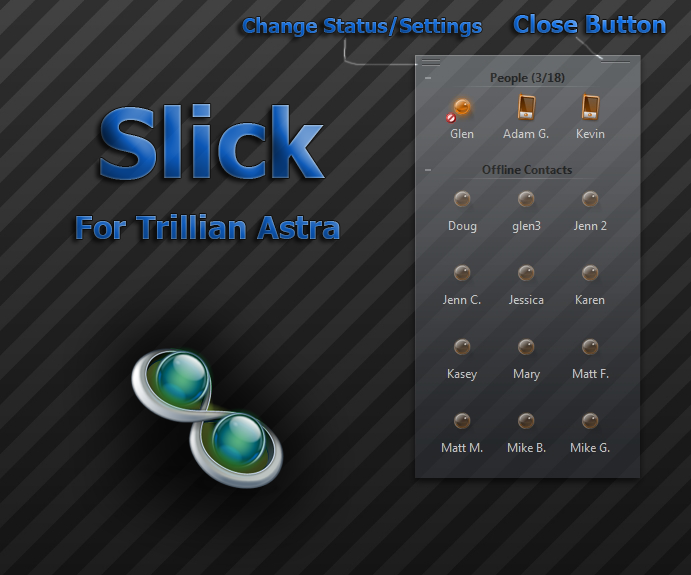 "Slick" is a custom window for Trillian Astra. I made a custom skin for Trillian to match my desktop and I decided to share it since I don't see many skins around anyway. All of the necessary information is in the included readme text file. This will work with Trillian Astra, but I'm not sure about the new beta.